Lombok and Bali in Indonesia are popular destinations for beach bums and surfers from all over the globe. But Indonesia is not just about the sea and the sand, it has some of the most amazing mountain views in the world. 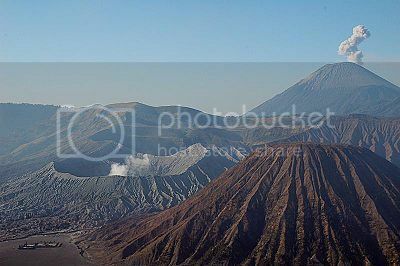 Mount Bromo, an iconic caldera volcano in East Java Indonesia continuously beckons adventure seekers and backpackers to take a look at the wonder and majesty which nature have created. It is still a very active volcano and spews white smoke all the time. It is sits inside a massive caldera and is surrounded by a sea of sand thereby creating an ethereal and beautiful landscape. This combination of foreboding and beauty never ceases to lure tourist to visit this nature’s wonder.